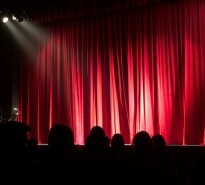 Lovett International like to support local companies and we are proud sponsors of Coastal Comedy in Bournemouth. This month, we have an exclusive offer for our clients and customers. Using the discount code: LOVETTWHEREYOULIVE you can buy tickets to their award-winning show for just £10 each! 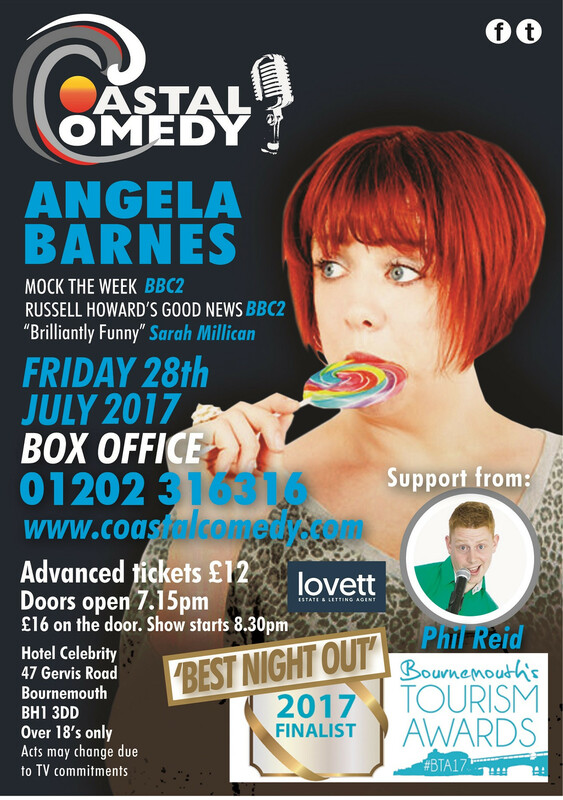 On Friday the 28th of July Coastal Comedy presents the stupendous Angela Barnes! As seen on: Mock the Week (BBC2), Stand up for the Week (C4), and many more! Angela won the BBC Radio 2’s New Comedy Award in 2011, and has continued to be a regular on the stand-up circuit, playing even bigger venues. She has also appeared on: Russell Howard’s Good News, Russell Kane’s Whistlestop Tour for Radio 2, Stand up for the Week, written for Radio 4’s The News Quiz, played on Eddie Izzard’s Laughs in the Park on BBC Two, and developed her own series with BBC Radio Comedy. Opening the show is Phil Reid. With over a decade in entertainment, Phil has a natural ability to connect with the audience. Friendly and enthusiastic his observational style instantly puts the audience at ease, allowing him to regale them with tales of his every day life. Travelling the length and breadth of Britain and playing a number of big name clubs throughout the UK Phil has worked along-side and supported some of Britain’s top comedians such as Jason Manford, John Bishop, Tim Vine, Lee Nelson, Patrick Monahan and Bobby Davro. In addition, there will be top support acts on the night, all hosted by local comic Adrienne Coles tickets are £12 for what is a great night out in the wonderfully intimate setting at Hotel Celebrity. Show your support and enjoy a top night of entertainment at what is one of Bournemouth’s very best night’s out as awarded at the Bournemouth Tourism Awards 2017.